StoryPoint Middletown is eager to show their commitment to the Middletown community by hiring talented locals and building partnerships with nearby businesses once their senior living community is close to completion. StoryPoint Grove City takes pride in their meal service. The executive chef continuously cooks up delicious meals that is sure to make every resident happy. Senior living communities are the perfect space for you to meet new friends, create amazing memories, and explore things you are passionate about. Art is one of the activities that many seniors have not tried before but truly seem to enjoy. Food tends to bring people together, elicit memories and foster conversation. 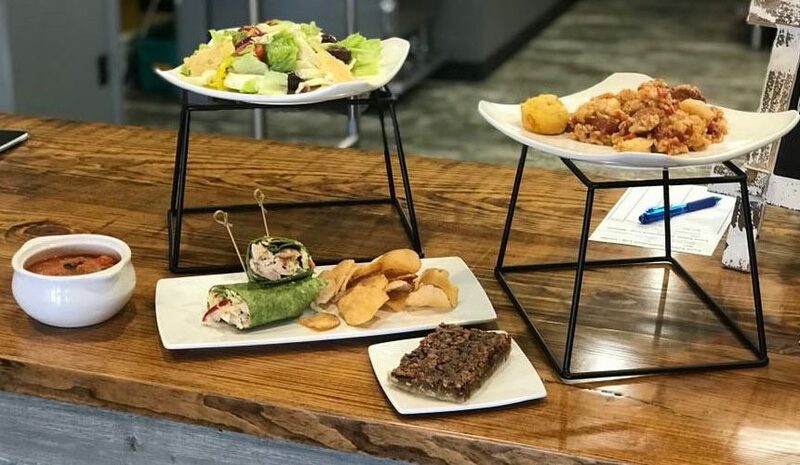 A new pop-up restaurant in Troy, Ohio is making big waves. StoryPoint Troy had the honor of taking four of its veteran residents on Honor Flight Dayton, which is an all expenses paid trip to Washington D.C. to visit all the memorials. StoryPoint Rockford’s very own Jack Schneider was named one of four finalists at the National Cookie Madness Championship. Brighton, MI – StoryPoint along with their sister company, Independence Village, collected over 200 recipes in their Cookie Madness competition and have recently narrowed down 64 cookie recipes from their senior residents to only 4. An Executive Chef from our sister company, Independence Village of Plymouth participated in the annual Showcase & Taste of Plymouth event on Monday, April 15 at the Inn at St. John’s. We interviewed Lead Receptionist, Emily Olesinski, from our sister company, Independence Village of Aurora. Brighton, MI – StoryPoint Portage is proud to announce that they have been selected as one of the 2018 Best of Senior Living Award Winners on SeniorAdvisor.com, the largest ratings and reviews site for senior care and services in North America and Canada. DISCLAIMER: This content is not a substitute for medical advice and supervision. Please consult your doctor to plan for the best stroke prevention tactics. StoryPoint Troy is proud to be hosting the ALS Association Central & Southern Ohio Chapter caregiver support groups.